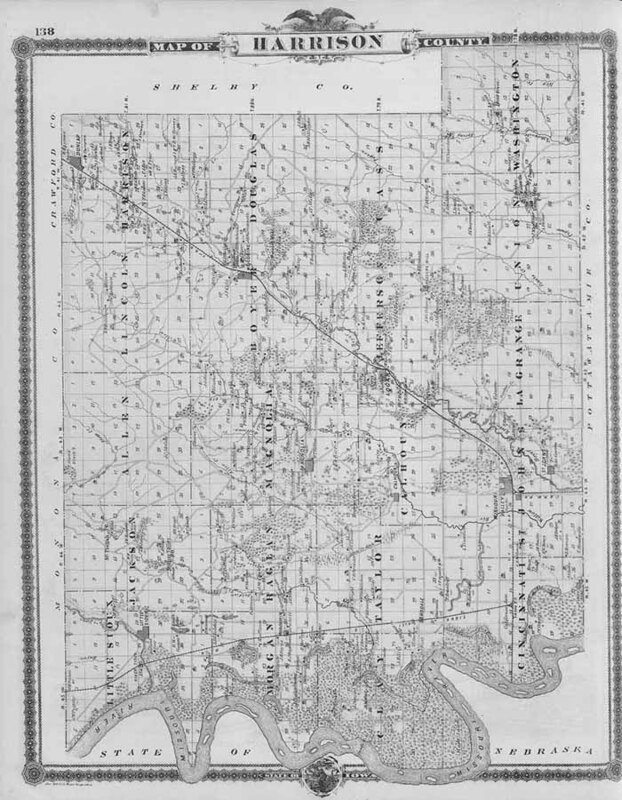 November 18: Updated layout of Farm Names from 1915. August 22: Rebecca Moore Brown Mott family genealogy, Contributor, please contact me (Alvin) for current web page link. January 29, 2014 - Added Bailey Family tree. January 11, 2014 - The Harrison County Genealogical Society page has been updated with a change in officers. The Notson Photo Project Order Form has also been updated. Copyright 1998-2019 IAGenWeb Project and submitters. All rights reserved.